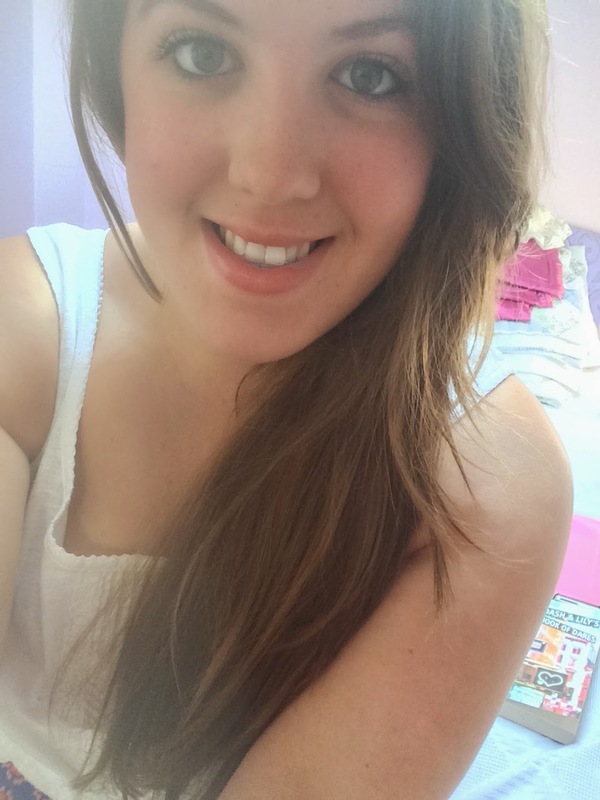 Beautiful You: Review | Urban Decay Naked Flushed Palette! 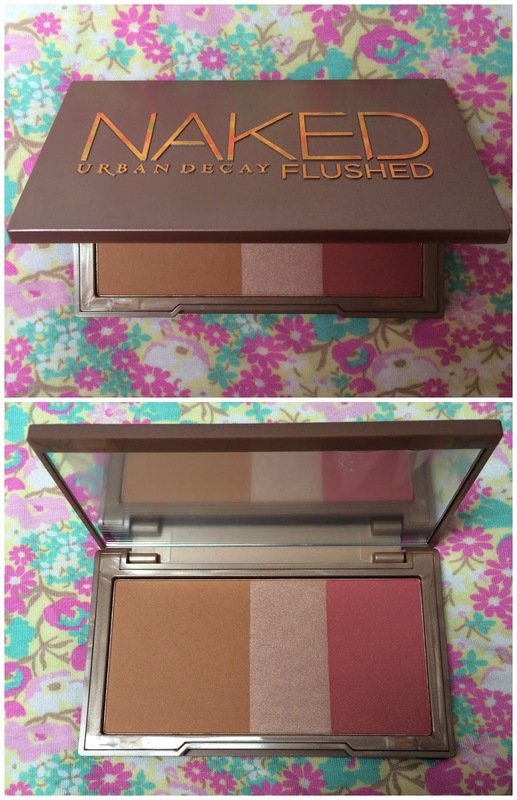 Review | Urban Decay Naked Flushed Palette! Last week, as some of you may know, I hit a mile stone on here and on my YouTube channel and I felt like treating my self. I saw that a fellow blogger had recently bought the Naked Flushed Palette from her picture on twitter and fell in love. Naturally I then went on to Google to search for what I wanted and I found it at a significantly reduced price on LookFantastic but I also had a 20% off code if I spent £20 and got it for even cheaper! It is a palette with a bronzer, blusher and a highlighter in one and it being from Urban Decay was a bigger plus for me because I am obsessed with their products! I did get it for £16.20 as I did find it reduced and then I had an extra 20% but it retails for £22 which is the same price as the Naked Basics Palette from Urban Decay. This is the one down fall for me of this product is that you have to get loads of product on your brush for it to be visible, the colours aren't as pigmented as I would have liked them to be based on Urban Decay's other products! The blushers is the most pigmented out of the three and you have to be careful not to over do it but apart from that I'm a little disappointed. I'f give them a 3/5 for pigmentation! Each product is easy to blend but as they aren't very pigmented you have to start with a lot of product and then blend it out loads which can often take a lot of time. I thought that I would be able to just take this away with me as everything that I need but it isn't as quick of an application as I thought it would be. I'd give them a 3/4 for blendability! I have worn this all day for the past three days and it hasn't gone anywhere, this is the major plus for me! I always find that when you put bronzer on in the morning you face and make-up look really nice but then as the day goes on you start to look more and more pale and patchy however that doesn't happen with this and I love it! I'd give them a 5/5 for wear time! As I said earlier I am a massive lover of Urban Decay products and one of the reasons for that is because of their packaging, it is very concise and compact which is just what you need sometimes when your going away. I am currently on holiday and I have brought many of their palettes with me because they are the easiest to pack and the colour variety is the best! I give them a 5/5 for packaging! I hope you enjoyed this review, if you have this product let me know what you think of it in the comments as I would love to hear other peoples opinions! Also I hope you don't mind the rubbish pictures this week, its very hard to find a good place to take them at my Grandad's house, I promise it will be back to normal when I'm home. I hope you all have had a good week and have a good weekend and I will see you on Monday! I love this palette, it has everything you need - but I dropped mine the other day - BOO!